Welcome to the home page of the Medicaid Planning Course. The Medicaid Planning Course is the one that was desperately needed in the educational community. Did you know that there are 40 million Americans over age 65 and that it is projected that there will be 80 million Americans over 65 by the year 2040. Did you know that 75% of these people will require LTC during their lifetime and that 50% for will require care for a minimum of one year or more? Did you know that the average cost to stay in a nursing home is in excess of $6,500 a MONTH. Because a significant amount of Americans will end up in nursing homes, it is a fact that many of them will go broke paying for their care. Unfortunately, there are very few advisors (meaning insurance agents, financial planners, CPAs or accountants and attorneys) who know even the basics about Medicaid planning let along what I call “proper” Medicaid planning. Many advisors and their clients believe that Medicaid will help them pay for their nursing home costs. That’s true but only if their clients impoverish themselves. What does that mean? It means that single client will have to spend down his or her “countable” assets to $2,000 before being able to qualify for financial assistance through Medicaid. For married couple in most states, in order to qualify one spouse for Medicaid, the other spouse cannot have countable assets in excess of approximately $110,000. What does that mean? It means without proper planning millions of Americans are going to have to spend nearly all of their money before being able to qualify for financial assistance through Medicaid. Is there a better way? Yes there is! Clients could work with an advisor who knows how to properly and legally shift assets to preserve those assets for their heirs. To help advisors learn complaint Medicaid planning so their clients can have a choice about what happens to their money prior to entering a nursing home facility. They can choose to do nothing, in which case nearly all of their money will be given to the nursing home for their care, or they can chose to work with an advisor who can help them preserve their assets for their family. Who is a candidate to take the Medicaid Planning Course? Anyone wants to give the “best” and most compliant financial planning and/or estate planning advice to clients age 60 and older. There are tens of thousands of different types of advisors out there (CFPs, CLUs, attorneys, CPAs, etc) that are touting that they can give proper financial or estate planning advice to seniors and yet they literally no nothing about Medicaid planning. 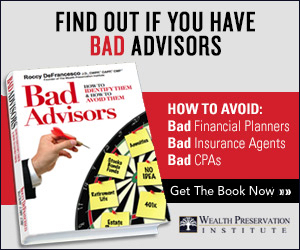 This makes it impossible for such advisor to give the best advice to their clients. By taking the Medicaid Planning Course you will be armed with the knowledge you need to provide proper Medicaid planning to your clients under the main law that drives such advice which is the 2005 DRA. From a marketing perspective, learning Medicaid planning can also be a very good idea. Because there are so many clients age 60 and older and because there are so few advisors who know anything about Medicaid planning, those advisors who do understand the subject matter will have nearly an unlimited ability to market themselves in a local market. In short, if you are looking to grow your business and provide the best advice to your current and hopefully many new clients, you need to take the Medicaid Planning Course. For questions send an inquiry to the Asset Protection Society for Medicaid.